Comments: Born on January 19, 1907, Katherine Elizabeth Pitts was the daughter of Captain John Lee Pitts and Helen Amanda (Burgess) Pitts. 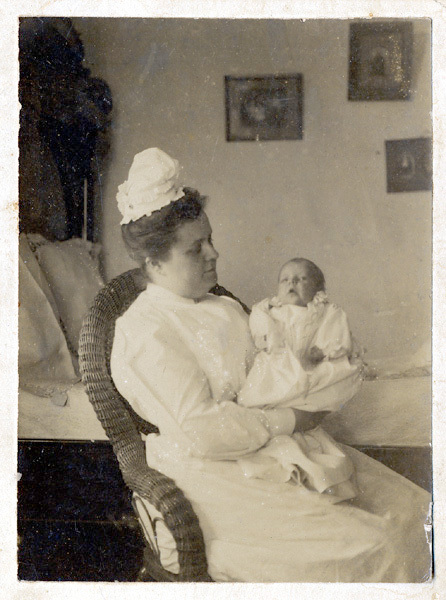 The above photo was taken of Katherine with her unidentified nurse at Belle Haven in Scottsville. 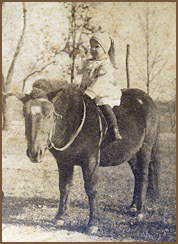 The photo at right shows Katherine riding Shepherd, her pony, on the grounds of Belle Haven ca. 1911. These photographs are part of the Kathleen (Phillips) McNamara collection. Kathleen resides in Scottsville and is the granddaughter of Captain John Lee Pitts and Helen Amanda (Burgess) Pitts. Kathleen's mother is Katherine Elizabeth (Pitts) Phillips.